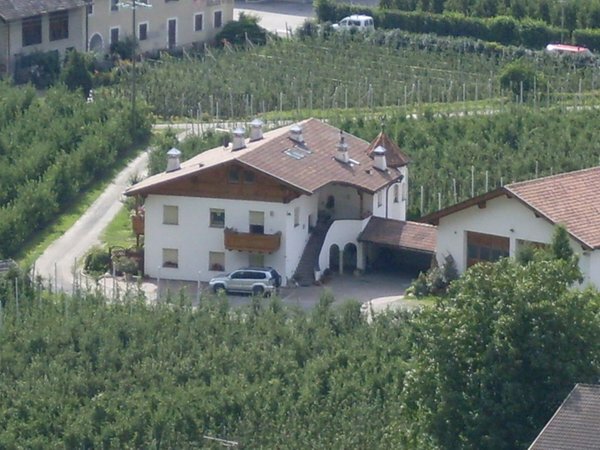 Welcome to the Unterwirtshof fruit farm in Castelbello, right in the heart of the picturesque Val Venosta! The farmhouse is the right place for a relaxing holiday and offer an amazing view on the orchards and the surrounding mountains. The farmhouse is located just 500 m from the village of Castelbello. Whichever season you choose for your holiday, here unforgettable moments are guaranteed: in spring asparagus and apple trees will blossom with beautiful shades and flowers, summer is perfect for hikes and bike tours, autumn is characterised by the harvest of grapes and apples and in winter you can spend amazing days skiing or snowboarding on the slopes. Both apartments, Golden Delicious and Stark Delicious, have been designed with an eye for comfort and relaxation and feature a sauna. Your hosts, the Pirchers, are looking forward to your visit! The apartment features a living room with kitchen, sofa bed, satellite TV, wifi, bedroom with double bed, bathroom with shower and WC. The apartment are located on the first floor and grant access to a terrace with table and chairs, where guests can relax and admire the panoramic view. Information about the location: at 600m amsl. Are you interested in Farmhouse apartments Unterwirtshof?